We don't lead with our services - but our customer service because that's our mission: to create long lasting relationships through superior service and quality while never compromising our core business and family values. We work all hours of the day and night just to prove it and earn your trust. 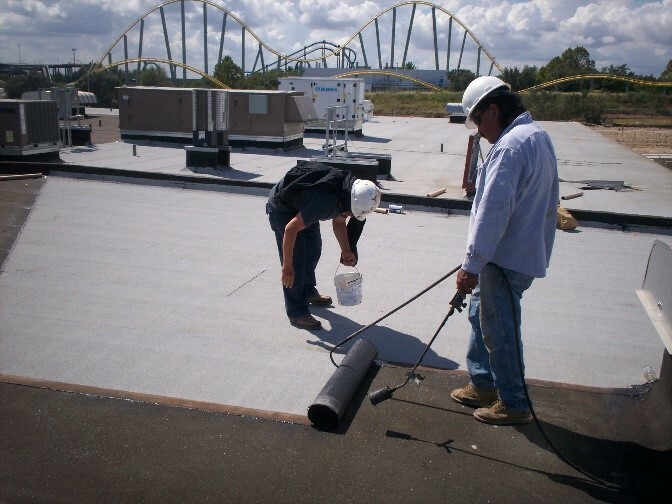 We are a commercial roofing and sheet metal contractor located in York County, PA with offices in Upper Marlboro, Maryland. Our rich history began with founders Marlin Potteiger (past president of the National Roofing Contractors Association), Thomas Potteiger, and Scott Ierley. With over 100 years of combined experience, knowledge and leadership, they quickly achieved a reputation of excellence and rapid growth, and now serve property managers, commercial construction projects, and business owners across the Mid-Atlantic region. Today, Scott and Tom own the company while Marlin enjoys retirement after a very long and successful career. Justin Milesky and Mitch Sterner joined as leaders of the company as Raintree continues to experience growth and expansion. We will come out and scope the repairs on-site with you. There is no cost for us to review our process and give you a detailed outline of the solution. There is no one-size-fits-all solution, so why not work with experts who can show you all your options - from recoating to replacement. Save money and time with a reroof, a retrofit, or a reskin. It has many names, but a recoat saves you money. We can help you walk through the options. Meet us on your roof. The other guys charge to come and look at the issues you are having - we don't. Because we wouldn't want someone to do that to us.